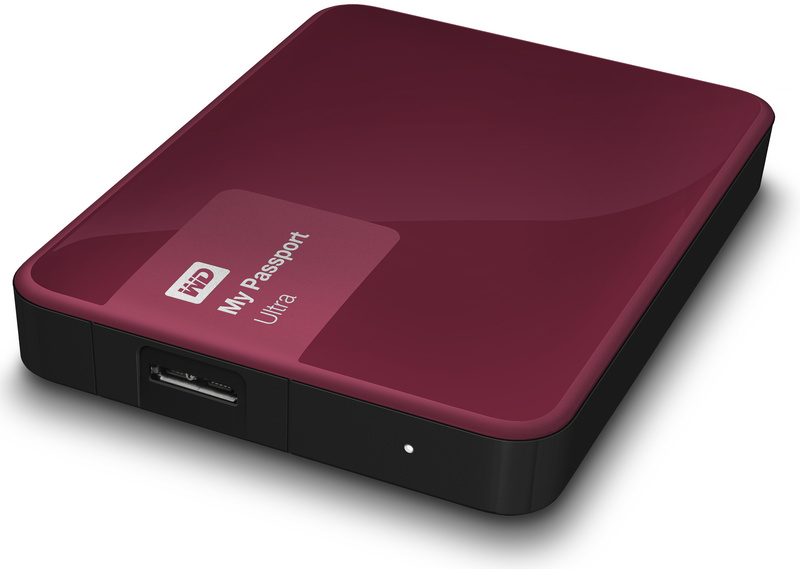 Western Digital last week introduced several new members to its My Passport family of external hard drives. The new portable external HDDs can store up to 4 TB of data, an improvement over previous-gen portable storage solutions from the company. The new drives are based on the WD’s new 2.5”/12.5 mm HDD platform which uses high-capacity platters. Like the other Western Digital’s My Passport HDDs, the new models feature a USB 3.0 interface and come with automatic WD Backup software. The drives also have hardware AES-256 encryption. As for visual aesthetics, the design of the new 4 TB My Passport drives remained the same as that of the latest generation. While the update looks fairly regular, it is important what is inside these new 4 TB drives. Western Digital traditionally does not disclose a lot of technical specifications of its external HDDs, such as spindle speeds or cache sizes. However, what the company did confirm is that the new My Passport 4 TB HDDs are based on 2.5”/12.5 mm hard drives featuring four 1 TB platters. We believe these should be based on either PMR or SMR technology. 2.5” SMR platters of such capacities are not something brand new in general because Seagate has been using them for several months but it would be noteworthy if Western Digital has started to use them for commercial products. Besides, the company has a platform that can house four of such platters, thus enabling 4 TB 2.5”/12.5 mm HDDs. Western Digital stresses that it has not announced any internal 4 TB 2.5”/12.5 mm hard drives for consumer or other devices, which is perhaps not surprising given that mainstream notebooks use 7 mm and 9.5 mm drives. Nonetheless, formally Western Digital has the highest-capacity commercial 2.5”/12.5 mm HDD on the planet. Last year Seagate released its Samsung Spinpoint M10P HDD 4 TB HDD in 2.5"/15 mm form-factor, which has been exclusively used inside the Samsung M3 and P3 portable external hard drives. 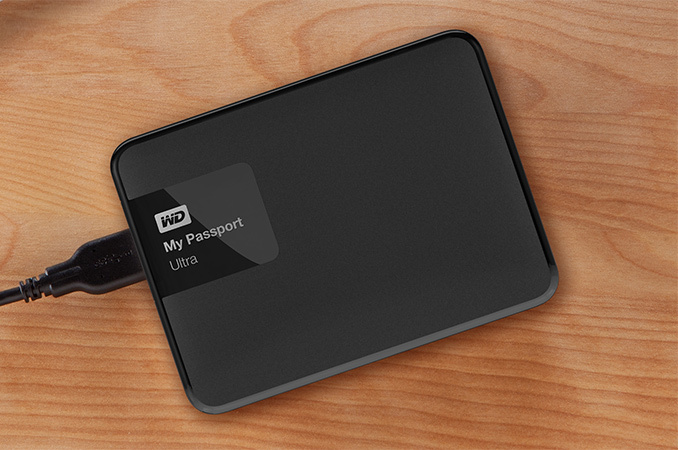 Western Digital’s new My Passport Ultra 4 TB external HDD is already available from the company’s online store and from select retailers and distributors for $159.99. Next quarter the company plans to start selling its more expensive My Passport Ultra Metal and My Passport for Mac external HDDs with 4 TB capacity. Most likely because this is a older product with a new drive thrown in, not a new product. USB type C ports are much more reliable than USB 3.0 micro the long length of the connector makes connections unreliable and the cable prone to getting tilted within the socket. I've had tons of ports with issues staying connected from every mfg good, bad. It definitely is just a crappy connector design and is probably why samsung stopped using the 3.0 micro connector and switched back to 2.0 micro. Rumour has it that some laptops come with USB-C.
USB Type C is still not widely spread and only the newer motherboard and other devices have such ports so having the regular USB3.0 Micro-B makes the device more usable for wider range of devices. The speed difference between the different types of connection doesn't really matter as the drive itself can't really reach the full bandwidth of the connections. - Seagate had a 2.5" 4TB drive out months ago. So it wasn't like we were all waiting for this form factor.